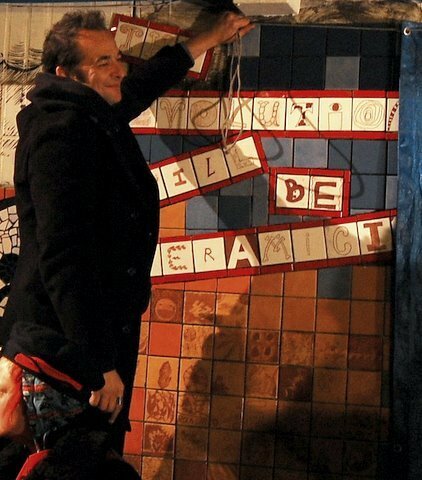 Braving the elements last night,Miquita Oliver, Carrie Reichardt and Don Letts.unveiled a new outdoor mural to a good crowd, under the Westway, Ladbroke Grove whilst a flash mob punk choir sang 'Teenage Kicks' and 'Ever Fallen in Love'? 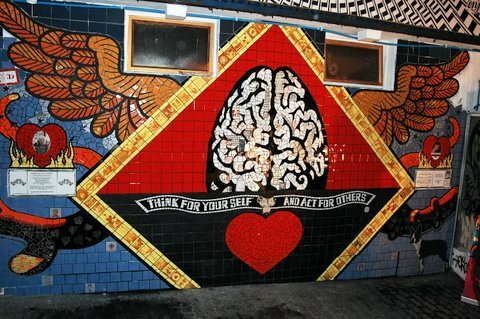 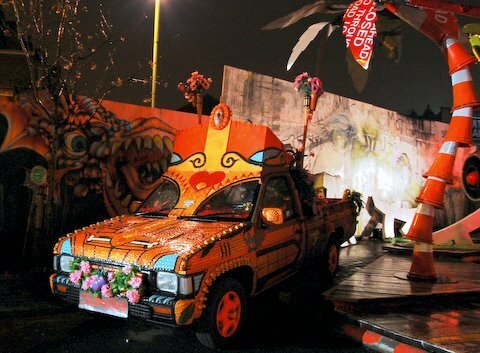 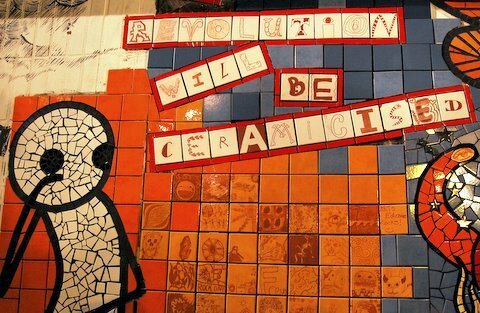 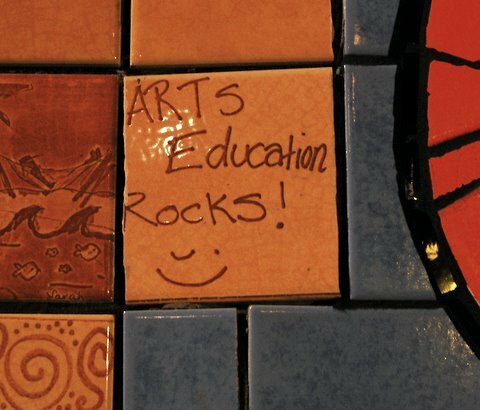 The mural, a piece of 'craftactivism', made entirely of ceramic tiles and a joint effort between The Treatment Rooms collective and the local community, is expected to be a permanent fixture to these iconic walls where Mutate Britain are still in residence (only until this Sunday though). 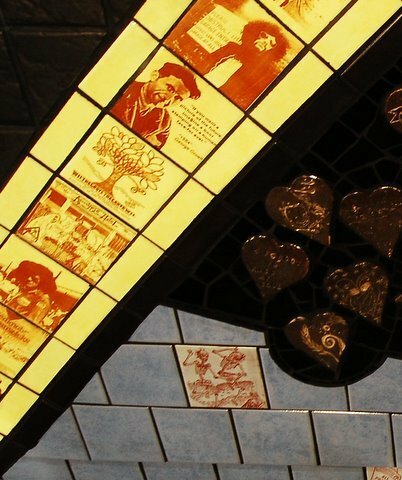 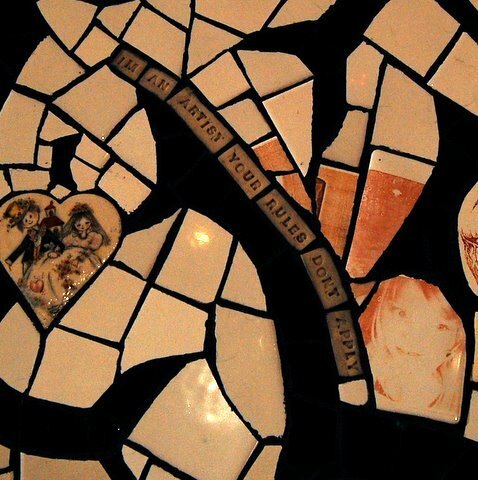 Londonist interviewed Carrie a couple of years ago about The Treatment Rooms - a 3 bedroomed house the collective own and have transformed into a self-contained conceptual piece of mosaic art.